Eurand’s Zenpep was approved in August 2009. Pancreatic enzyme replacement therapies may be the answer to lowering the pill burden for patients. The availability of pancreatic enzymes products (PEPs) to treat malabsorption and the lung disease associated with cystic fibrosis (CF) extended CF patients’ median survival from 14 years in 1970 to over 30 years by 2000, according to the Cystic Fibrosis Foundation. Porcine-sourced PEP therapy is the standard treatment for patients. PEPs sold in the U.S. prior to the passage of the 1938 Federal Food Drug and Cosmetic Act did not previously require FDA approval. But starting April 28, these PEP products will start being removed from the market as the agency now mandates that all replacement enzymes be approved. PEPs are still hard to swallow for CF patients and other individuals suffering from exocrine pancreatic insufficiency (EPI) despite the recent introduction of FDA-approved products. These patients can’t produce or secrete the pancreatic enzymes needed for digestion, resulting in nutrient malabsoption and, potentially, malnutrition. Currently, CF and other patients must take up to 20 or more PEP capsules daily to replace the missing enzymes. About 200,000 individuals in the U.S. suffer from EPI due to not only CF but also due to chronic inflammation of the pancreas, pancreatic HIV infection, surgical removal of all or part of the pancreas, and other digestive diseases. More than 80% of CF patients have EPI, which usually develops during the first year of life. One cause of these problems is the inherent instability in PEP products and their tendency to degrade over time, according to Eurand, one of three firms that has an FDA-sanctioned PEP. To compensate for this degradation, some manufacturers included an overfill of enzymes versus the label claim to ensure that each capsule delivered at least 90% of label-claimed lipase content throughout its shelf life. This practice can, however, cause variability and unpredictability in dosing, with patients receiving anywhere from 90–165% of the prescribed dose, according to the U.S. Pharmacopeia. As a result of the FDA regulations several manufacturers have discontinued their unapproved pancreatic enzyme products, including Ethex, Major Pharmaceuticals, Solvay Pharmaceuticals (now part of Abbott Laboratories), and X-Gen Pharmaceuticals. To date, three porcine-derived products have received FDA approval: Solvay’s Creon was the first PEP sanctioned under the new process, Eurand’s Zenpep was approved in August 2009, and most recently, Johnson & Johnson’s (J&J) Pancreaze was given the go-ahead. J&J’s Ortho-McNeil will continue to market Pancrease MT for a short time to help patients transition over to its FDA-approved Pancreaze product; Pancrease MT and Pancreaze are identical products, however, the product packaging for Pancreaze complies with FDA requirements for reporting of enzyme contents. FDA recommends that patients not currently taking an approved PEP “begin working with their healthcare professionals to switch to an FDA-approved PEP.” However, labeled enzyme contents may differ between FDA-approved products and unapproved ones: FDA-approved treatments reflect the actual enzyme content of the product, while labeled contents of unapproved therapies exclude overfill and may underestimate the actual enzyme content. A potential alternative to porcine-sourced PEPs in the form of a well-defined recombinant enzyme product may become available if Alnara Pharmaceuticals gets its pancreatic enzyme replacement therapy (PERT) to market. Alnara’s liprotamase contains the three major enzymes in porcine-sourced PEPs and could solve product inconsistency, dosing issues, and the heavy pill burden on patients that take PEPs. Liprotamase was originally developed as Trizytek by now-defunct Altus Pharmaceutical to offer advantages that the company expected would drive better long-term patient compliance as well as to improve fat, protein, and carbohydrate absorption in pancreatic-insufficient individuals. In 2008, Altus reported that its Phase III efficacy trial in CF patients met its efficacy and safety requirements. But while strong clinical responses occurred among U.S. volunteers, patients in three of six non-U.S. countries did not demonstrate a significant response compared to a placebo. In January 2009, Altus shares fell 56% after the company announced a restructuring plan that involved cutting 75% of its staff and dropping further development of liprotamase. Rights to the molecule reverted to Cystic Fibrosis Foundation Therapeutics, and subsequently newly formed Alnara licensed the product. Alnara’s founder and CEO, Alexey Margolin, Ph.D., was the CSO at Altus; the company hired 35 to 40 of Altus’ former scientists. 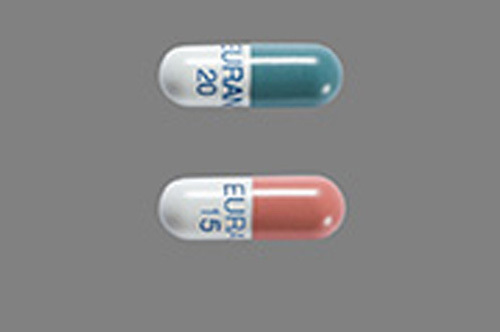 In 2009, Alnara reported results of its open-label Phase III study evaluating 214 patients, of which 145 CF patients ages 7 and above completed 12 months of treatment with liprotamase. The study evaluated nutritional parameters including weight, height, body mass index, and fat soluble vitamin absorption. The international study involved 34 centers in the U.S. and 11 centers outside the U.S. Patients began the study taking one capsule of liprotamase per meal or snack (five per day) and were allowed to increase their intake to up to two capsules. Approval of liprotamase could be a game changer in PERT. The company filed its NDA for liprotamase in the first quarter of this year. Should it gain approval, CF and other EPI patients may be able to reduce their pill load by almost 75% with consistent, reliable, and predictable dosing that can be adjusted to meet their needs while providing the needed enzymes. Patricia F. Dimond, Ph.D., is a principal at BioInsight Consulting. Email: pdimond@genengnews.com.